The origin of cricket is well-known: south east England. The game got recognition as England’s national sport in the 18th century. 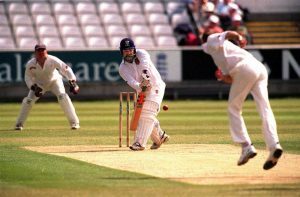 From England, cricket spread to the rest of the world between the 19th and 20th centuries, and this saw the sport’s international matches played since 1844 with Test cricket gaining recognition in 1877. In the 17th century, England, through its colonies, introduced cricket to North America. The sport’s arrival in other parts of the world occurred in the 18th century. In Australia, for instance, cricket started as soon as the country’s colonization began (in 1788). South Africa and New Zealand followed suit during the early 19th century. The British East India Company mariners were responsible for the introduction of cricket in India. In Canada, the game failed to catch on despite the efforts by imperialists to promote the sport. For a whole century (1860 to 1960), the popularity of the sport in the country continually declined. This was partly because the Canadians associated cricket with the British-Canadian upper class. As a matter of fact, Canadian units in Britain would play baseball instead of cricket in the course of the First World War, which took place between 1914 and 1918. Cricket continued to grow in England with Yorkshire being mentioned as the sport venue for the first time in 1751. After 1760, bowlers started pitching the ball and studying variations in pace, line, and length. This saw the original bowling become superseded. From 1772, scorecards were regularly kept, leading to a clear record of the cricket development. During the early 18th century, Dartford and London became the first most famous cricket clubs. London matches were played at the Artillery Ground, which exists to date. Other prominent clubs, including Slindon (supported by the Duke of Richmond) and Hambledon followed. Legendary players, including John Small (the master batsman) and Thomas Brett (great fast bowler) were produced at Hambledon.